Acc for Males and Females. Acc for Teen to Elder. Acc for left and right hand. Early Release for Patrons 5+ until March 29, 2018. 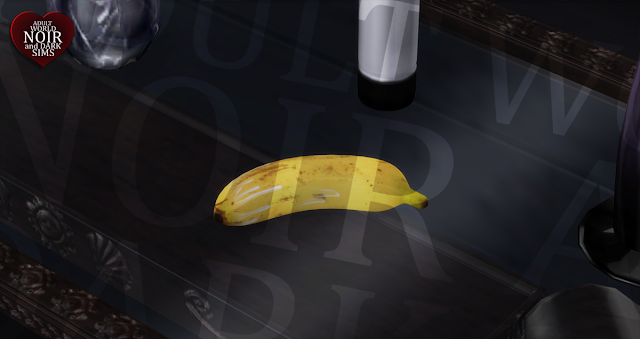 TS4 - Horny Banana by Noir and Dark Sims is licensed under a Creative Commons Attribution-NonCommercial-NoDerivatives 4.0 International License. Every time I see these I feel kinda hot. Great stuff, mate. I really wish you would not use ad-fly because it serves up a malicious fake warning ad which prevents further use of the browser without using task manager to close the browser and I can't afford anyone's Patreon, I'm lucky if I have $1 by the end my next paycheck because of more important things than Patreon, medical expenses not covered by insurance. If you continue to use adfly I will have no choice but to report your violation of the standards set forth by EA about Sims content behind paywalls. This is an example of what your use of adfly does, go ahead, try the link, you are trying to force people to use just such links hidden behind the name adfly or pay you, even if I could afford to pay I have reached the point of fed up I will never pay anyone who uses any url shorteners, which equate to url hider. Do what you think is better for you. I understand you, for that same reason, I know that I can't just give away my work. Create new custom content is time-consuming, and because I know what it takes to do this type of things I support other creators being as well a patron and using his adfly links. I respect the work of each person and corporation but actually, I'm the owner of every new mesh and texture that I made myself, not EA, no matter what some want to believe, and as the owner of my work, I have the right to publish my content below my own conditions, as EA does with his own products. The fact that my content is made to being used on one or several of his games this does not make to the company owner of my content.